We spend a lot of time on marketing, messaging, sales, and retention. There are countless articles on the internet covering those topics. You know what’s surprisingly under-represented? Pricing strategies. No one is talking pricing strategies because no one really understands it. Optimizing your pricing has a 4x greater impact on your revenue than acquisition. The right pricing strategies are the difference between a business that takes off and one that barely breaks even. Before we jump into the different tactics around pricing strategy, there’s a bit of information you need to have. These are things related to your business, market, and customers. Your pricing strategy is the way you price your products based on various factors such as costs, business goals, market segment, ability of consumers to pay, and the value you deliver. Let’s look at these factors that make up a sound pricing strategy. This is one of the first things you need to take into consideration. If you read that heading and thought “well, everyone can use our product,” then you have a problem. Even if everyone can use your product, not everyone will. If you’re for everyone then you’re for no one. 3-4 segments can make up to 90% of your sales. The other 10% is the rest of the world. When you figure out what your customers want and why they want it then you can craft your messages to reflect it. It’s no longer a race to the bottom, instead, you can price based on the value you deliver. What does your customer want to gain? What’s their desired outcome? How would they describe themselves? How important is solving the problem to them? If you don’t have the answers to these questions, you may need to do a segmenting survey. No you don’t, you just lose a lot of money and go out of business. Obviously, you need to turn a profit on every unit. For this, you have to understand your fixed costs and variable costs for every unit. This is just as applicable if you’re selling online courses, jeans, or SaaS software. Fixed costs are the things you have to pay for no matter how much you sell. An example would be office space and salaries. Variable costs are the ones which are only incurred when you create or sell a unit. An example would be shipping costs when you send out a pair of jeans. For KyLeads, we have negligible costs associated with good sold. Every customer we acquire sends the costs of delivering our software closer to zero. Yea, it’s great to have a SaaS product. Please note R&D costs aren’t included in your per unit cost. That’s sunk money, forget about it. You didn’t go into business to join the struggle gang. No, you went into business to bring your ideas into the world and improve your life. For that, there has to be profit. You only realize profit when you cover all your expenses and have a bit extra. Add up all your monthly expenses. Yes, I mean all of them. This includes labor, rent, equipment, utilities, loan payments, etc. etc. This is the number you need to hit every month to keep the lights on and your doors open. Anything on top of that is your profit. How much do you want that number to be? If you want to do a million dollars in profit then just add your expenses to that and you’ll know how much you need to make. Sometimes businesses forget to add expenses and undercharge for their products. At other times, they’re too eager to turn a profit and overcharge. Create realistic estimates so your pricing strategy is reflective of your goals. Consider where you are in your business right now and your current growth trajectory. If you’re growing at 15% a month can you realistically increase that to 25% a month? It’s a race to the bottom that forces you to make a lot of tradeoffs. If we priced KyLeads at five dollars a month we’d get more customers but it would be a challenge to support those customers, continue development, and also market our product. Remember those questions you asked about your customers? What outcome do they want and why? That’s tied to the value you have in your customers eyes. It goes beyond the outcome you provide. Think about how you brand yourself and your products. Are you a luxury brand or a bargain brand? Do have testimonials talking about the way you’ve changed the lives of your customers? Does your messaging appeal to the emotions? Are you segmented along demographic lines or psychographic lines? Together, all these factors affect how your customers perceive the value or return on investment you deliver. The more value someone feels they can derive from your products and services the more they’re willing to pay. Leadpages and Instapage have essentially the same software. They have completely different price points. When you go to an upscale restaurant you’re primed to pay more for a meal than if you go to McDonalds. Yes, they may use different raw materials but that’s just a small portion of the price difference. It all boils down to value (or perception of value). People have been shown to pay more for items like beer when it’s coming from an upscale establishment. You don’t get what you pay for. You get what the business decides to give you at that price point. The last thing to take into consideration when crafting your pricing strategy is the competition. Now, I hesitate to say this because obsessing over your competition is never healthy. At most, use it as a sounding board for what the market will tolerate for comparable products and services. It’s not written in stone. For all you know your competition is undercharging. Also, they may be able to get away with a certain price because of their branding or because of the way they’ve targeted their market. There’s no way to get a clear picture of the pricing strategy your competition employs. The price your competitors charge will frame the way your customers evaluate your products. If your competitors are charging $40 – $100 for products and you decide to charge $150 then two things can happen. You position yourself as a premium brand and get higher quality customers or people ignore you as expensive. We’ll discuss the psychology behind this. For now, let’s look at the most common types of pricing strategies and when to apply them. When you break it down, there are many types of pricing strategies you can use for a new product or an old one. The one you choose will depend on your answers to the questions in the previous section as well as your goals and branding. For example, if you’re positioned as a luxury brand then you’ll avoid economy and penetration pricing and focus on premium or bundle pricing. Premium pricing is a marketing tool in which higher prices are set to give consumers the impression of higher product quality. This works when the business has a strong brand and is known for producing high-quality products. Consumers don’t always investigate deeply into the other options available on the market. They have enough confidence in the premium product to justify the investment. Bryan Harris sells coaching and services to help business owners build their email list. The prices range from $997 to almost five thousand dollars. It’s possible to find products which promise the same thing for a fraction of the price. Let’s move a little closer to home. We all buy gas on a regular basis right? At the pump, there are three price points displayed. I tend to stick with the normal unleaded, but when I’m feeling adventurous I’ll fill up with some premium liquid. Premium pricing is a common strategy in the fashion industry. Designer brands, using the same materials, can mark up their products over 10x. Think Louis Vuitton and Gucci. Penetration pricing is a temporary pricing strategy designed to take market share from competitors. Companies use penetration pricing when they want to bring out a new product that has entrenched competitors. There’s an introductory price that gets potential customers to try out the products. When they achieve their target market share, they increase the price. This is not for every product. It works best in markets where consumers are price sensitive and there is little difference between your product and the ones of your competitors. Utilize this pricing strategy if you have the budget to push products out into the market quickly and can function with lower margins. It wouldn’t make sense to sell your product at a loss and lose your business because of it. Penetration pricing can attract the wrong group of customers or set the wrong expectations. Conversely, you can achieve improve market share and create customers more quickly. Paired with a tripwire offer, they can increase your customer lifetime value. Netflix started as a DVD rental service. Instead of a storefront, you’d order DVD’s online and they’d be delivered to you in a day. At the time, they charged a dollar per DVD while stores like Blockbuster charged four to five dollars. Netflix has thrived while Blockbuster went bankrupt. Economy pricing is a pricing strategy which assigns a lower price to selected items. This could be to target a specific market or because production and marketing have been kept to a minimum. 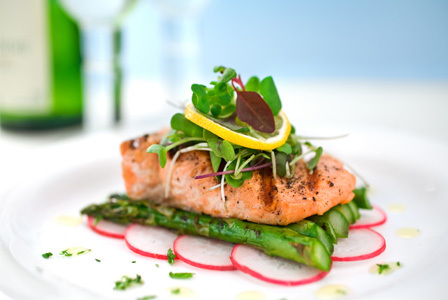 Economy pricing is often used in the food industry. There are brand name items and the generic items that are made and sold by the grocery chain itself. 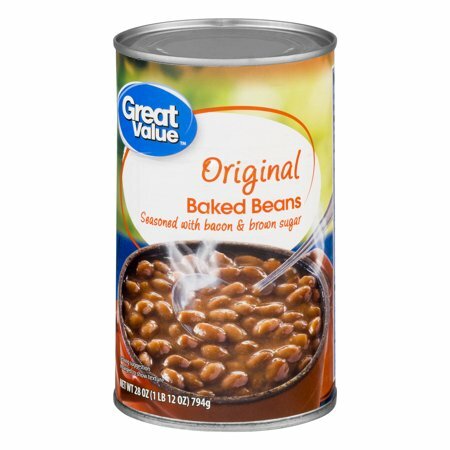 An example would be Heinz Baked Beans vs generic baked beans. It’s not relegated to the food industry. It also happens in marketplaces where there is a lot of competition. Fiverr is an example of an economy marketplace. Their value proposition is that you can get essential services done for your business starting at five dollars. Udemy is another marketplace. They host courses but they don’t explicitly tell you the courses are cheap. Instead, they constantly reduce the prices of the courses hosted on their platform. Price skimming is the opposite of penetration pricing. Instead of lowering prices, companies introduce their products at the highest price then lower them over time. The first customers are early adopters who aren’t as price sensitive. When competition enters the market, the innovator lowers prices to attract consumers who are price sensitive. This pricing strategy is ideal when you have a new product category ready to be introduced to the market. If not a new product category then a new take on an existing product. 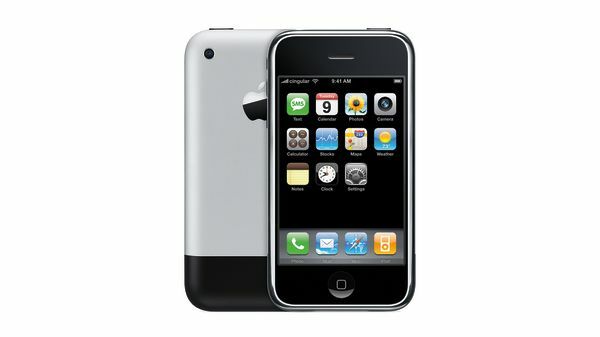 This is what Apple did when they introduced the iPhone all those years ago. It wasn’t a new product category but it was a new take on mobile phones. Price skimming can also create an early positive perception of your product. Buyers may perceive it as novel, high quality, and exclusive. There’s a caveat before you engage in price skimming. This works best with a large market. If the market is small you run the risk of alienating a large portion of it. A strategy is a plan you use to achieve your goals while methods are the actual steps you take to get there. For example, your strategy could be price skimming to capture an early adopter market and the method to achieve that could take the costs of producing your goods and adding a specific markup. In this section, we’ll look at the different pricing methods you can use to achieve your pricing strategy. The psychological pricing methods are often confused with a pricing strategy. Psychological pricing is a tactic used to arrive at a goal. It’s a big topic in and of itself and we’ll look at the different types later in this post. Psychological pricing uses the psychological impact numbers and the way they’re presented – to sway buyers. In essence, you’re using a consumer’s emotions to influence a purchase decision. The psychological pricing method you may be most familiar with is ending prices with a nine instead of a round figure. This is called charm pricing and it’s only touching the surface of psychological pricing. Value-based pricing is a pricing method based on the value your products and services give the customer. They either save other businesses time and money or make them money. An example of value-based pricing is Price Intelligently’s service. They charge $45,000 to build a pricing page. It doesn’t seem reasonable at first glance but it’s the value they add on top of design and development that justifies their price. Another example would be art or collectible items. Leonardo da Vinci’s Salvador Mundi was sold for 450 million dollars (they’re not even sure if it’s real). This can be taken too far. Do you remember the lifesaving antiparasitic drug that was hiked 4000% by Martin Shkreli? Value-based pricing doesn’t historic prices into consideration because they have no bearing on the value your product gives today. Businesses that offer unique or outcome focused products are in a better position to take advantage of value-based pricing. SaaS companies that sell to other businesses like KyLeads are better geared to take advantage of value-based pricing because they solve problems. Get feedback from your audience to understand how they perceive the value you deliver. Use surveys or interviews with different customer segments. Once you have the feedback, create multiple price points and funnel people to the right product with segmentation quizzes. This pricing method focuses on what went into producing the product. You look at the materials, labor, and overhead costs then apply a markup to get your profit margin. Note that you don’t add the research and development costs to arrive at the final sales price. The biggest advantage of this pricing method is its simplicity. As long as you know all your expenses, you’ll be sure to sell at a profit. A disadvantage is that you may be leaving money on the table. If you have an efficient production and distribution network, your costs may be well below that of your competitors. When you apply your markup, you may end up charging much less than the market will tolerate. Cost plus pricing is ideal when you have a contract with a supplier. It’s not ideal when you’re in a competitive market. Demand based pricing is the pricing method that sets prices based on consumer demand (or lack thereof). The willingness of customers to purchase a product at a certain price point is tested and the one that yields the highest profit is selected. It encompasses price skimming, value-based pricing, penetration pricing, and bundle pricing. It’s similar to value-based pricing because it takes into consideration consumer perception of value. It’s different because value-based pricing isn’t as elastic. Price discrimination is the best example of demand based pricing. Airlines are good at this. You may pay a premium based on when you want to travel (going to Bali in the summer vs the winter) or receive a discount. If you’re able to generate increased demand for a product with limited quantities then you’ll be able to take advantage of demand based pricing. In a saturated market with consistent and high overhead costs, demand based pricing may erode your profits. With bundle pricing, businesses sell groups of related products together at a lower price to the customer than if they’d bought them separately. For example, you may buy a six pack of soap for $15 Instead of buying them separately for $4 apiece. This allows you to increase your order value while giving your customers a discount. An old sale from Stacksocial illustrates this point well. They’ve combined multiple courses into one product and gave a major discount. They also display the original pricing to give the offer context. Intercom also does this by splitting their software into three pieces and bundling it together to arrive at a lower price. Those are the major pricing methods. Next, we’ll look at the psychology of pricing and how you can use it to your advantage. The Psychology of pricing is a large and involved topic. Here, we’re going to discuss a few of the major psychological pricing strategies and the science behind them. You won’t be able to use all of them because some are in direct contrast to each other. Let’s dive in. We go through the world uncertain about many things. How to value the products and services we buy is one of them. In a study published in The Journal of Personality and Social Psychology, researchers found that whoever was the first to present price in a negotiation would achieve better outcomes. If a buyer was to state a lower price first then the seller would adjust prices accordingly during the negotiation. If the seller was the first person to present a price, the buyer would attach to that amount and negotiate differently. For each quantity, a number between 0 and 100 was determined by spinning a wheel of fortune in the subject’s presence. Different groups were given different numbers which had a marked effect on estimates. For example, the medium estimates of the percentage of African countries in the United Nations were 25 and 45 for the groups that received 10 and 65 respectively. Just like with negotiations, when a higher number is presented first, it becomes the anchor. In your business, it’s possible to do that whether you’re in person or online. This is especially effective when you have multiple pricing tiers. We read from right to left so when you present the most expensive tier to the left, it’s processed first. That means the lower pricing tiers are anchored against your most expensive price. It’s a subtle yet powerful effect. Crazy Egg presents their most expensive tier first and their lowest tier is all the way to the right. Since we read from the left to the right, the most expensive tier is the one we focus on first. 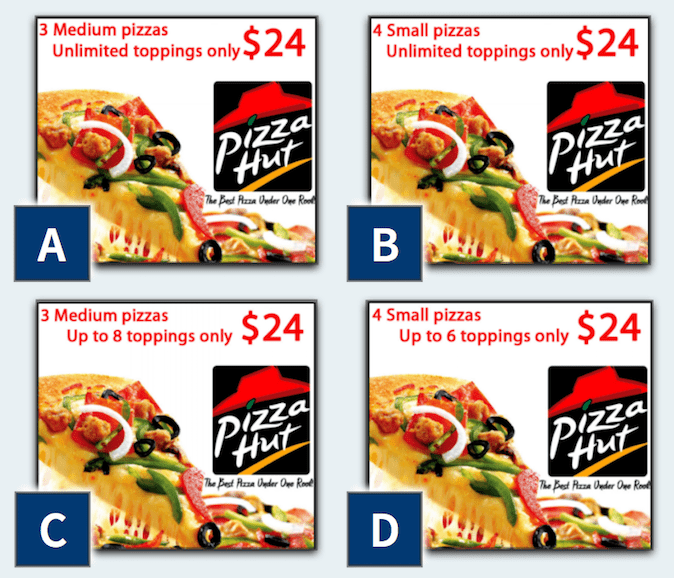 In a study to determine the effect number presentation has on the purchase intent of buyers, researchers used three different advertisements for a pizza deal. In the first advertisement, people could order 3 medium pizzas with unlimited toppings for $24. For the second advertisement, people could order 4 small pizzas with unlimited toppings for $24. In the third advertisement, people could order 3 medium pizzas with 8 toppings or 4 medium pizzas with 6 toppings at $24 each. Instead of going for the deals with unlimited toppings which were objectively better, they chose the deals with number fluency. 6×4 = 24 and 3×8 =24. The numbers are easy for us to process because, as children, we’re drilled on simple arithmetic (we learn addition and multiplication by heart up to a certain amount). The ease of processing numbers in the study was mistaken for attractiveness in the offer. In your marketing and sales material, present your offers in a way that’s easily processed by your audience. $50 = Get 2 shirts for $25 each. $12 = Get 3 widgets for $4 each. Only include two multiples so it’ll be easily processed. Using 2, 3, and 4 to arrive at 24 reduces the fluency and effectiveness of this technique. Continuing with fluency, the roundness of your price ($200 is a round number as opposed to $129.34) can affect the perception of the offer. When you have a round number, it’s processed more fluently. In a 2015 study, it was found that round numbers – because of their fluency – work well when the purchase is emotional. Because of feeling right, positive reactions toward the product are enhanced. This is known as the rounded price effect. How to use it in your business. When people buy your products based on emotion then set the price to the nearest round figure. Remove cents and end it with a zero. If your products are based on rational decision making then you’ll benefit from more specific prices. Implement charm pricing. Real estate is an example of an emotional purchase that takes advantage of round numbers. Have you ever seen a property listed with exact numbers? People only buy products when the pain of losing money is less than the benefits they’ll accrue when they buy. When you’re able to bundle similar products together, it reduces the pain of acquisition. Bundling works best with products that inherently produce more guilt in the buyer. Luxury products or ones that allow people to indulge themselves fall into this category. If you don’t have products in this category then describe the indulgent use for them instead of their practical application. Another thing to note with bundled products is that inexpensive products shouldn’t be bundled with inexpensive products. The inexpensive product reduces the overall perception of value. In a study by Brough and Chernov, people were asked to choose between a one year gym membership and a home gym. 51% (or roughly half) chose the home gym. When people were asked the same question but the home gym was bundled with a free fitness DVD, only 35% of people chose the home gym. People don’t feel guilty about toilet paper but they can feel guilty about a luxury bag. Bundle the luxury products with a similarly priced product to reduce the pain and guilt associated with buying the luxury product. This can still work with practical products but it’s not as effective because there’s already a strong reason to purchase. Briefcase by Appsumo bundles dozens of software products together for a low monthly price. These products aren’t exactly luxury but they aren’t necessities for all people. It seems to work if their 800 customers are any indication. Percentage off vs dollar off pricing. Discounts are a proven way to increase total sales. Depending on the context and the amount of the discount, it may be less effective. People are notoriously bad at calculating percentages. In an experiment with Evo, there were two discounts. One was for 15% off and the other was $50 off. In reality, they had the same value but the $50 off offer was redeemed much more often. It generated 170% more revenue than the 15% off coupon. In a survey of 1,000 shoppers conducted by Blue Hornet, 42% of shoppers find a dollar amount off more appealing than a percentage discount. When you discount your products, it has to be enough to get people to take action. We tend to look at the figure when assessing the discount whether it’s in dollar amounts or percentages. A discount of 20% of $50 is the same as $10 off. The 20% discount is more attractive. Conversely, 25% off $1,000 is the same as $250 off but the $250 discount is more appealing. Jonah Berger sums it up with The Rule of 100. If a product is less than 100 then use percentage discounts. If it’s more than 100 then use dollar discounts. They emphasize the emotional connection and the value that’s being delivered over the money being saved or spent. Jennifer Aaker et al. analyzed 300 ads in Money, New Yorker, Rolling Stone, and Cosmopolitan and realized nearly half included a reference to time. They posit that our relationship with time is more personal than our relationship with money. In many product categories, especially ones that elicit emotional associations, you can foster a better perception when you talk about time. When you’re positioning your products, think of the experiential aspect. Can your customer spend time with your products and build an emotional connection? Many marketers use comparisons to show how their product is superior and competitively priced. According to Itamar Simonson, Sebastian S. Kresge Professor of Marketing at Stanford GSB, this may have detrimental effects on your ability to sell your products. The context of the comparisons needs to be correct in order for it to work. If you’re comparing your product to a competitor just because you can then it may backfire. Instead, compare your products to your competitors only when you have a reason for the price being different. For example, you may be selling a cheaper pair of jeans and want to let your customers know. Instead of just telling them yours is the cheapest, which may create questions of quality, let them know why. That could be because of better manufacturing processes, better suppliers, control of the supply chain, or anything else. That will go a long way towards alleviating the fear of being tricked. Robert Cialdini popularized the notion of systematic persuasion through his book Influence. In it, he talks about the experiment of Ellen Langer. She asked a research assistant to try and cut in line. When the research assistant tried to cut in line with no reason, 64% of them agreed. The researcher went back and asked another group of people, but gave a reason. This time, 94% of people agreed. It was interesting to note that the reason was trivial. The act of providing a reason is more important than the reason itself. It was important that you gave a reason at all. Show Prices at the right time. The time you show the price of the product influences how people evaluate the purchase decision. In a study published in The Journal of Marketing Research, it was found that the timing can be detrimental or beneficial. When they’re shown price first, the purchase is evaluated on monetary value. When buyers are shown prices at the end of an interaction, the purchase is considered based on desirability or attractiveness. There’s a caveat. When a product is in everyday use (or a bargain product) and people have a lot of experience with it like ketchup, gasoline, or toilet paper, it can be detrimental to withhold the price. In a case like that, show the price first because people are already familiar with it and what it should cost. For goods that are premium or less common, you receive the benefits from showing the price last. The application is simple, show pricing last for premium products. Show pricing first with common or bargain products. A paper published in The Journal of Consumer Psychology found that the way numbers sound can have a profound effect on the perception of magnitude. Numbers are processed visually, verbally, and analog (relative to one another). The following three numbers are processed differently. The last number is perceived to be a much larger amount than the first number. This is because of the way we encode the visual stimuli to its verbal equivalent. The first number is twenty-four ninety-nine while the last number is two thousand four hundred and ninety-nine. It’s strange but it’s the way our mind works. Simplify your prices. When you’re writing your prices, remove commas and cents whenever possible to make the number simpler. It’ll be processed more fluently in the mind and be perceived as smaller. There are many pricing strategies, methods, and tactics to help you reach your goals. What the competition is doing. After you have that information, you’re free to select the pricing strategy and methods that work best for you. Always take into consideration your brand and how much of the market you want to control. Premium pricing won’t work for a bargain brand and penetration pricing won’t work for a luxury brand. When you’ve determined your core pricing strategy, dive deep into the psychology of pricing to make the most of it. Let me know how you’re using the different pricing strategies in the comments.